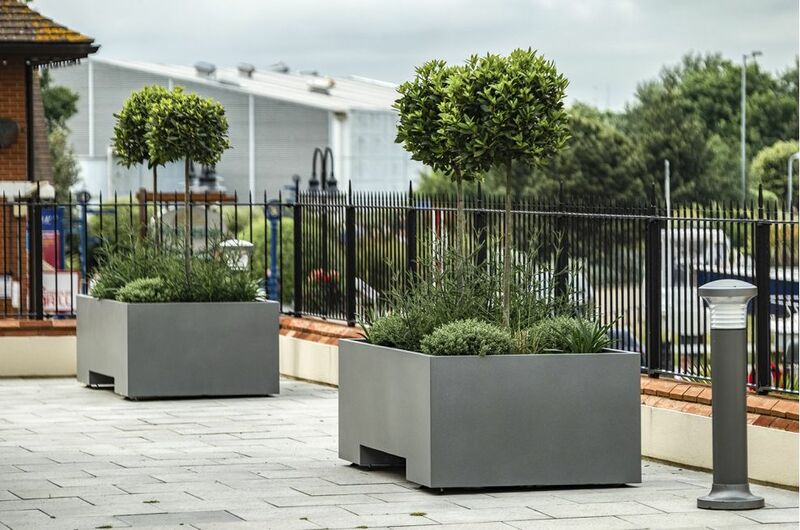 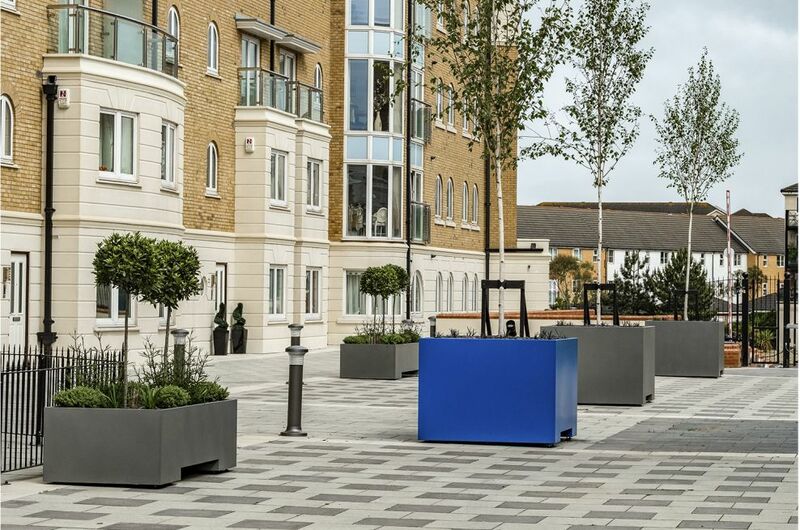 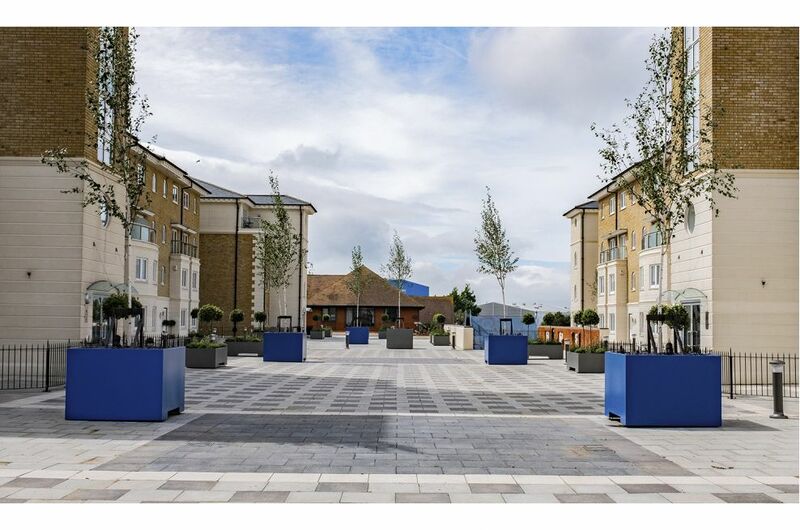 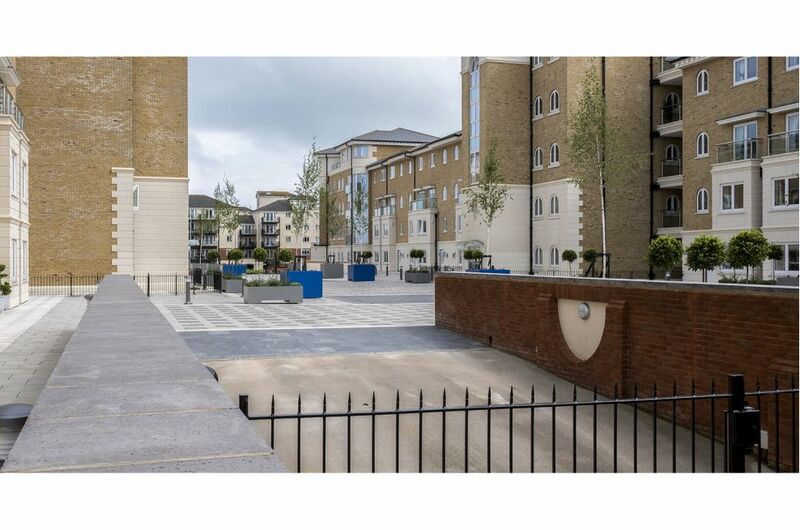 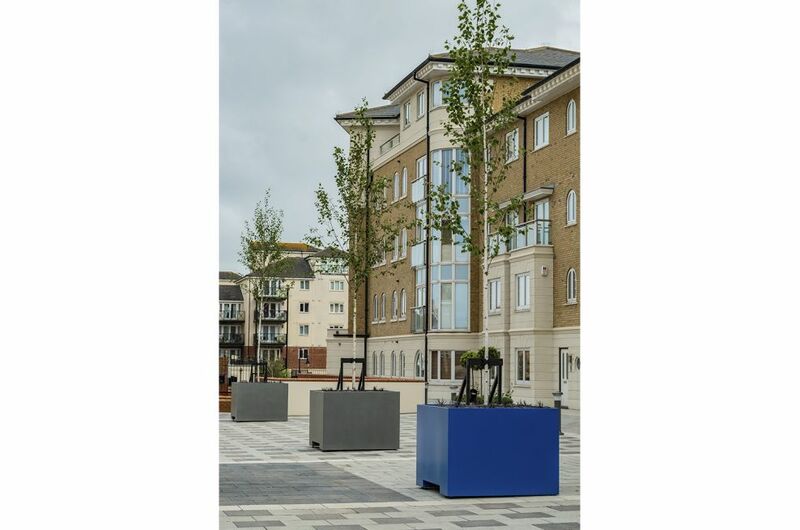 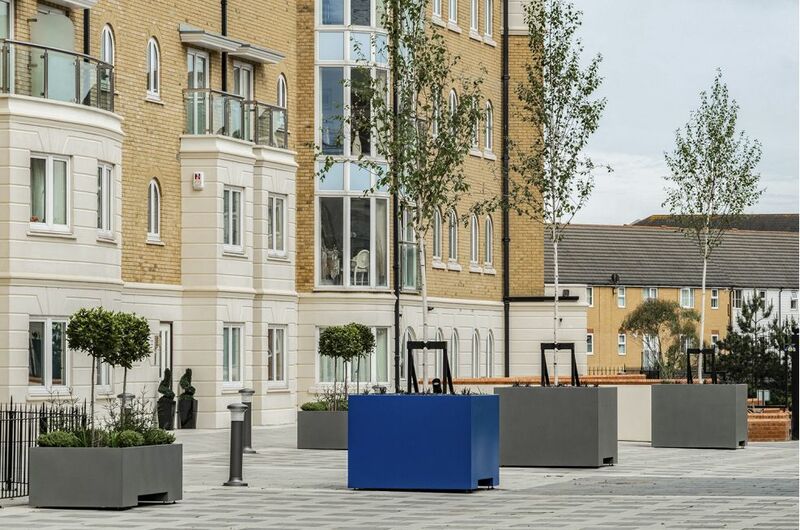 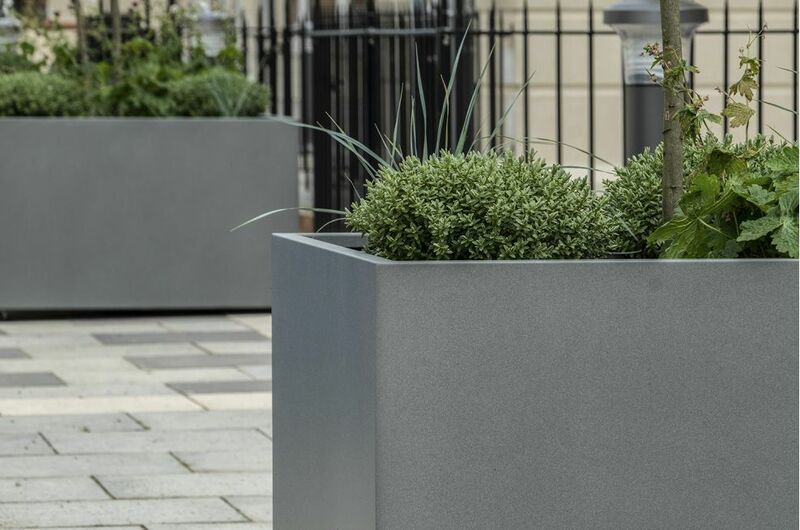 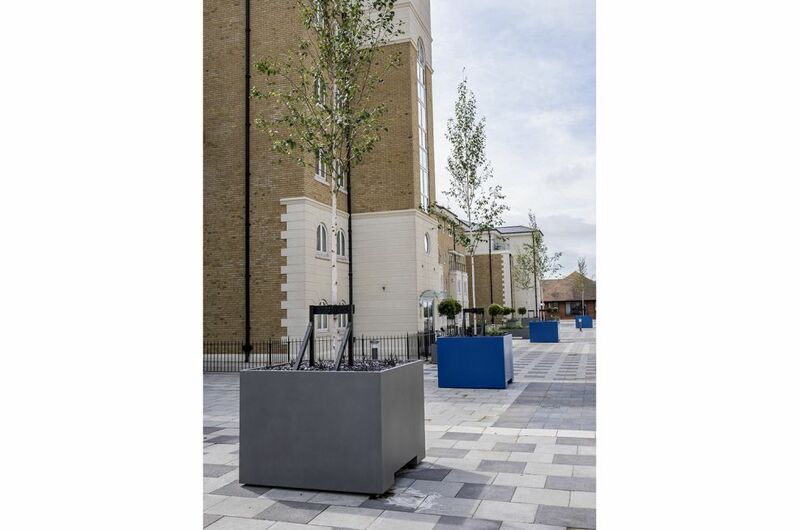 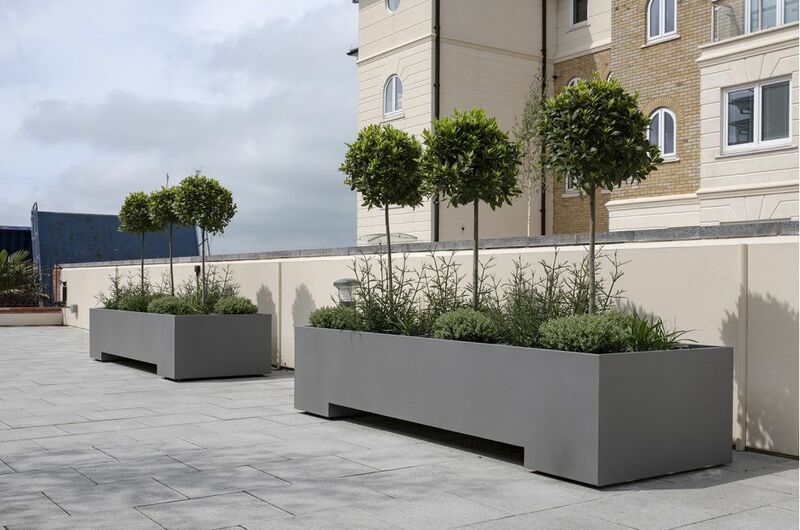 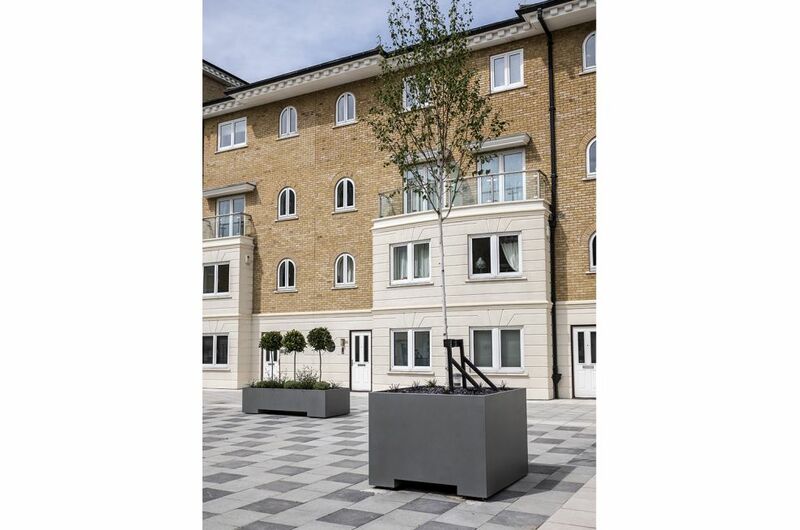 Bespoke steel planters were commissioned for the communal podium deck at Hamilton Quay, in the heart of Sovereign Harbour, Eastbourne. 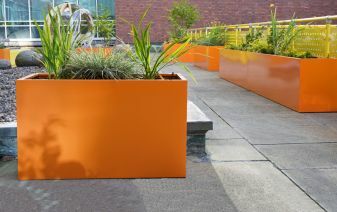 This was a sizeable project, and a total of 28nr. 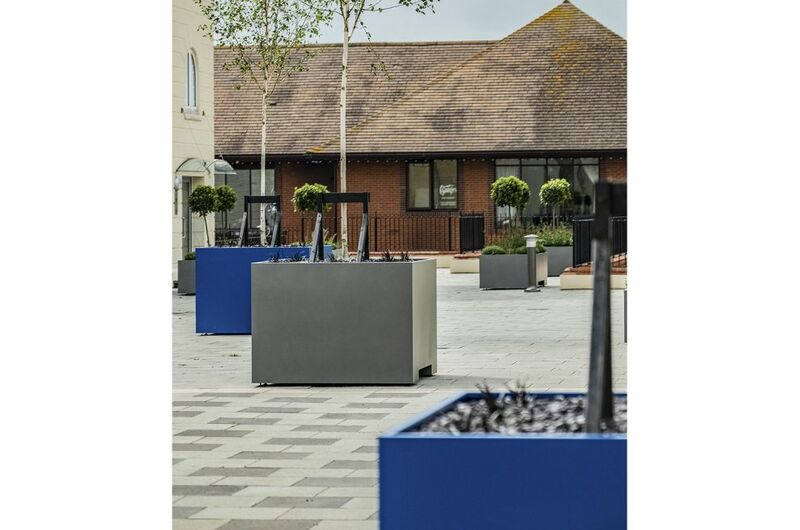 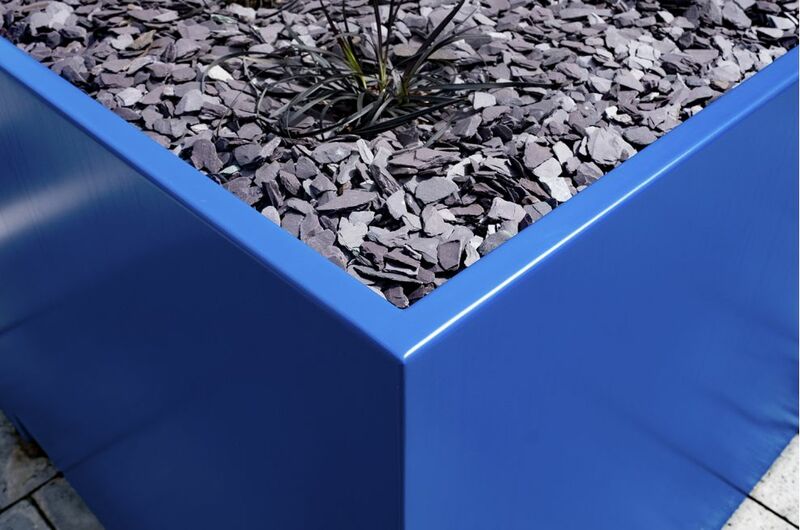 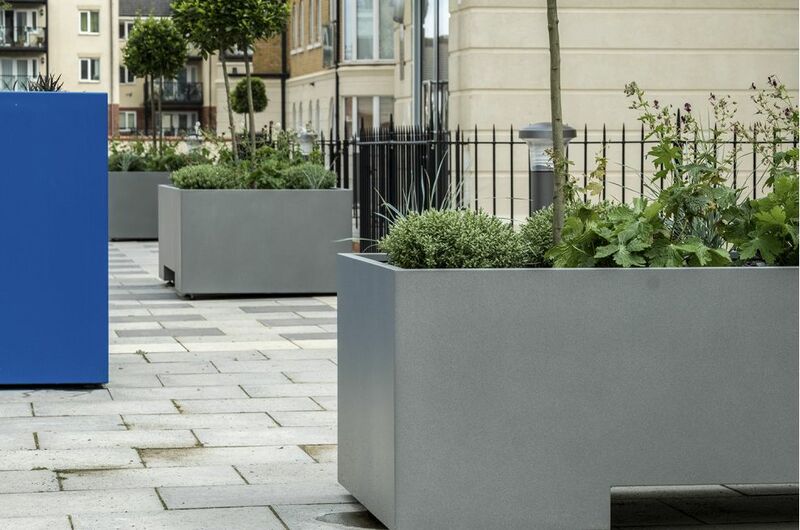 large planters were supplied, in a range of shapes and sizes – from square tree planters of dims. 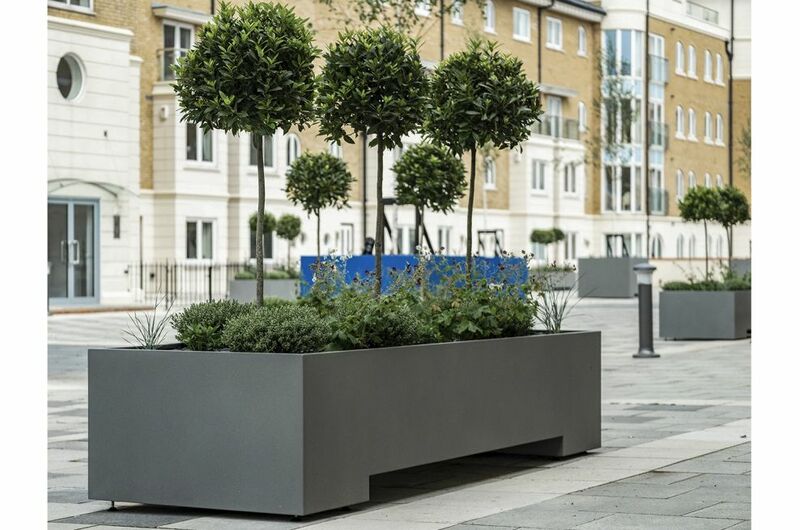 L / W 1500 x H 1100mm, to rectangular shrub planters of various dims. 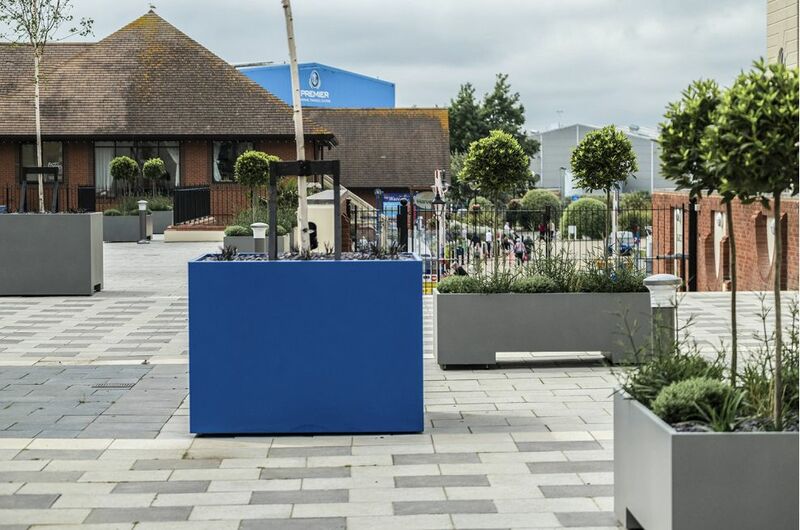 up to L 2960 x W 1000 x H 600mm. 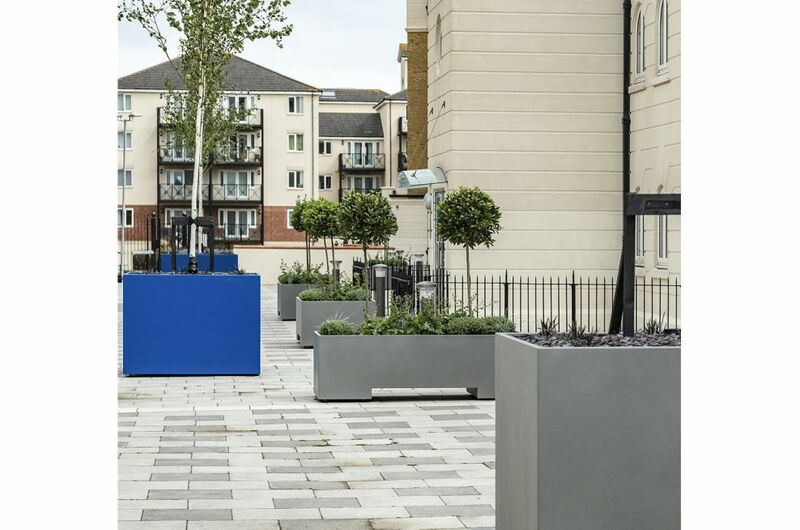 The design of the planters incorporated a central raised floor, plus base reinforcement, to enable the planters to be moved via fork lift. 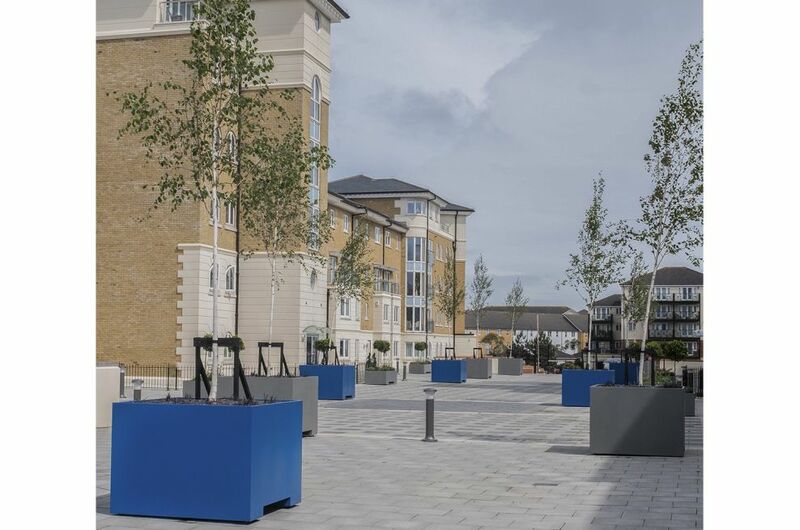 Set in the heart of Sovereign Harbour, Hamilton Quay is an exclusive development of 54 Apartments and 24 Town Houses. 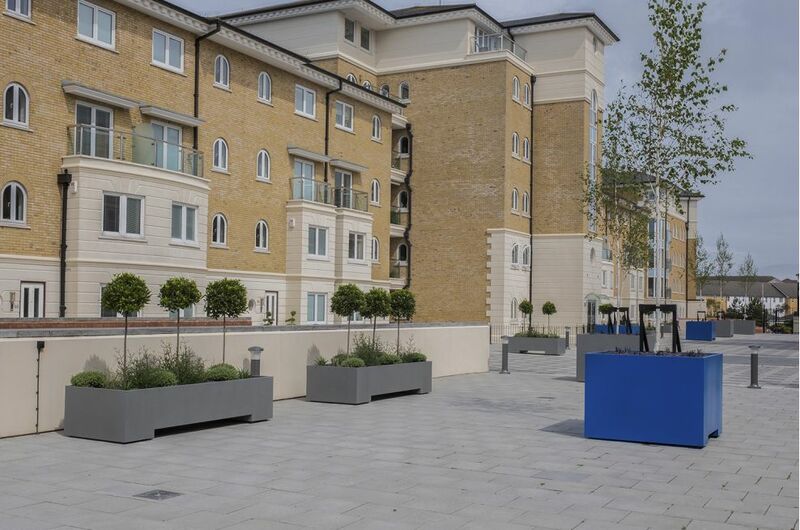 Adjacent to The Waterfront, and therefore at the hub of marina. 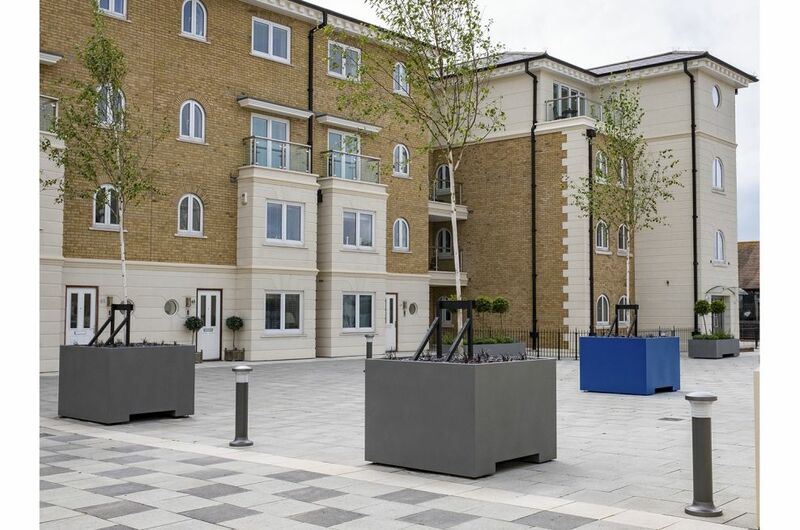 Activity, each residence at Hamilton Quay enjoys a fine water view. 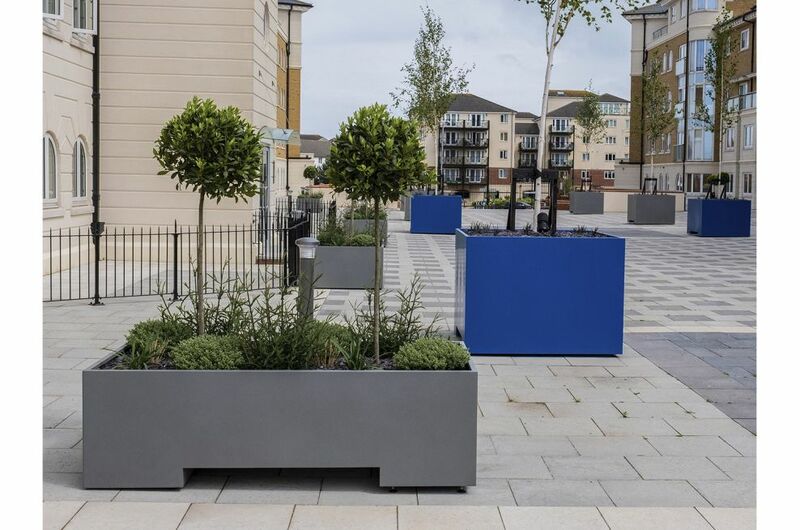 The podium landscaping scheme was designed collaboratively by IOTA, and the Board of the Management Company at Hamilton Quay; and IOTA developed a detailed proposal including GA plans and CAD visualisations, for presentation to the Residents Association for approval.